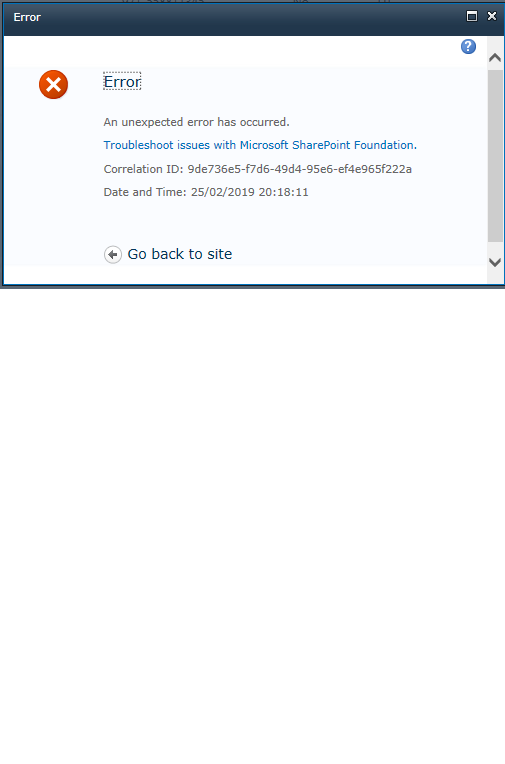 Infopath farm loading error while deploying WSP or uploading infopath farm through farm template. same time infopath farms all site collections in the web application keep on loading and after sometime throwing time out error . In my observation from last few days, This issue not related with deploying the solution or retracting the solution. It's purely related with IIS, Because when I do IISRESET or Restart the server then only Infopath farm not loading it's unable to connect the GETUserProfileByname. The following data connection (GetUserProfileByName) has exceeded the maximum configured time limit. This threshold can be configured by using the SPIPFormsService -MaxDataConnectionRoundTrip PowerShell commandlet Web Request: Ends url=http://ServerName/sites/SiteCollection/_vti_bin/UserProfileService.asmx action=http://microsoft.com/webservices/SharePointPortalServer/UserProfileService/GetUserProfileByName Please help me. InfoPath form submit gets broken when converted to a UDCX file?